Just as Album 59, Taking the Plunge, makes it to digital download (out now) and CD release (almost), we’ve got some new AIO eye candy in town, thanks to a recent Tyndale House Publishers reveal on their website. Album 60 is titled—appropriately—Head Over Heels, and will feature six new Adventures in Odyssey episodes following Wooton and Penny’s story line and more. Be watching our newly-added product page in the days ahead as we begin to see pieces fill in regarding the upcoming release, slated for March 2016. Album 60 will debut on the Odyssey Adventure Club this December, with digital download available February 2016 and CD download in March 2016, respectively. In the world of Odyssey, life’s issues rarely come together without a hitch. For Penny and Wooton, the answer to a marriage proposal leads to even more questions. Will Wooton meet with Penny’s family’s approval? And will Penny believe the best about Wooton even after the evidence seems to pile up against him? Meanwhile, others in town are asking questions of their own: The Parker family wonders if Mom will ever learn how to ride a bike, Whit unexpectedly questions whether his daughter should move to town, and Emily wonders how an unknown hero is thwarting the robberies across town. 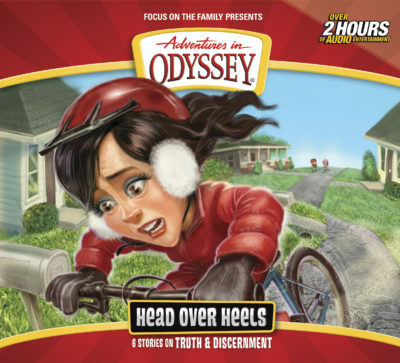 Throw caution to the wind and find the answers as the folks in Odyssey jump head over heels into the path of truth and discernment. In addition, for AIO readers out there, a third installment of the Candid Conversations with Connie will be available January 2016. 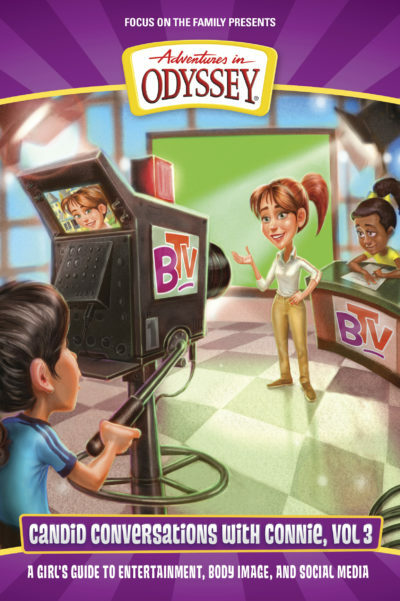 The first book is currently available in paperback as well as audio book form, read by Connie Kendall herself (voice actress Katie Leigh behind the mic with her unique charm). Be on the lookout for Volume 3 next year. Visit our newly-added product page and watch for more details in the future. And for those of you still waiting to hear Album 59, it is now available as a digital download with CD copy to follow this August!